Nowadays, people put so much of their lives into their work they tend to neglect both their mental and physical health for the sake of making a little extra money. Some sacrifice time with their family, some give up hours of sleep, and some even give up their hobbies and social lives for their work, which in the long run causes more harm to themselves than they realize. Some of the most common problems resulting from overworking and poor health are stress, increased chances of getting diseases, poor sleeping patterns, unhealthy habits and overall an unhappy and unhealthy lifestyle. Create a healthier working environment for your employees. Alsco helps you manage your workplace better, without stress and hassle, through its fully-managed rental services for washroom hygiene. To avail, get in touch with our friendly representative today. The average Australian spends anywhere from 7 to 10 hours a day at work, which is clearly a significant portion of their lives. Their work environment and conditions are for the most part controlled by the management, and are far more important than you’d think. Studies have shown that stressed out, sleep deprived and unhappy employees tend to be less productive, more prone to sickness which results in higher rates of absenteeism, and produce work of lower quality. Those who work in a healthy environment and pay attention to their wellbeing are consistently more productive and loyal to their employer, which suggests that caring for the wellbeing of employees by the management is not only beneficial to the workers themselves, but to the company as a whole. A countless number of people spend hours sitting in rigid chairs at their desks, or doing heavy lifting required by their work, all resulting in tense muscles and the employees feeling physically uncomfortable. Studies have even shown that sitting at a desk all day in front of a computer screen can increase the chances of getting diabetes, heart disease, obesity and skeletal disorders significantly. This physical discomfort can often add an immense amount of unnecessary stress to the employees, and makes them sore and tired as well. Increased mental/physical health of employees. Increased trust/loyalty of employees – becoming employer of choice and retaining the best staff. The management cannot expect their employees to produce the best quality work possible under conditions where the workers are tired and stressed out. The uncomfortable environment drains the motivation out of employees and as a result makes them less productive. One way that employers can relieve this physical stress on their employees is by providing corporate massages, which have shown that they not only relieve the tension in muscles so that they feel physically better, but are also a good way to mentally recharge the employees to be motivated to work. Any employee would appreciate a boss that provides a free massage, whether it is weekly or monthly. Massages can melt away the postural stress that results from long periods of sitting or heavy lifting, which helps prevent the repercussions such as a weak lower back or long term pain in the neck and shoulders. It soothes anxiety and depression if done on a regular basis, and as a result promotes healthier and more restful sleeping patterns. Clearly, massages can make a significant difference in a worker’s life by relieving a lot of discomfort and easing the stress that they experience. However, the average Australian worker does not have the time or money to go get regular massages, therefore companies should be the ones providing this service. While it may seem unnecessary or costly, it ultimately benefits the company as much as the employee receiving the massage. A happy and healthy worker will be more motivated and productive than a dissatisfied employee working in an uncomfortable environment. A huge part of ones wellbeing, arguably the most important, is nutrition. Diet is the biggest factor that determines your health, and with the tight schedule and draining work, many people don’t have the time or energy to think about what they are eating every day. Other times, people simply aren’t educated enough about the consequences of a bad diet, or how unhealthy the foods they consume really are. The Australian dietary guideline for adults recommends that adults should eat at least 5 servings of vegetables per day and at least 2 servings of fruit per day. However, more than 90% of adults don’t eat the recommended amount of vegetables and over 40% don’t eat enough fruit on a daily basis. This results in a vitamin and mineral deficiency which can weaken your immune system as well as cause problems with your skeletal, cardiovascular and digestive health, not to mention increase the risk of obesity. A method in which employers can care for their employees wellbeing is by educating them on nutrition and providing them with ways of improving their diet. Eating healthily can seemingly be a lot of work and hard to manage with busy work schedules, and many workers tend to opt for take-out or fast food for convenience. It may save you some time in the short run, but ultimately will take a toll on your body. To educate your staff about healthy eating and even teaching them how to cook healthy foods through cooking seminars can be an efficient way of helping them become aware of their diets and learn how to improve them. If they are given tips and methods on how to manage a healthy diet along with their busy lives, they will be more likely to change their unhealthy habits. These seminars are conducted in many ways, but the most common is to simply give presentations educating staff about the dangers of an unhealthy diet and how to maintain a healthier lifestyle. By just paying more attention to what they eat, the staff could enjoy the benefits of having more energy, maintaining a healthy weight, a longer lifespan, improved cardiovascular health and a stronger immune system. Being physically healthier also results in more motivated and energized employees, which is ultimately beneficial to the company as well. While having some stress in your life is normal, excessive stress resulting from the workplace is much too common and can have a serious impact on your productivity as well as your physical and emotional health. Stress can be physically damaging because it increases your blood pressure, damages your heart, weakens your immune system and can even make you gain or lose an unhealthy amount of weight. If that weren’t bad enough, the psychological repercussions are even more dangerous. It has consistently been linked to depression, anxiety, substance abuse and even more unhealthy habits. Unfortunately, the pressures of our personal and work lives are often overlooked or seen as insignificant, and can develop into a serious mental illness, and in some cases even suicide. While everyone feels overwhelmed by the responsibilities and challenges of their daily lives sometimes, it is essential to be able to manage the stress if you want to maintain good mental and physical health. The key is not to completely eliminate stress from your life, that is simply not possible, and it is healthy and normal to experience a certain degree of stress. It is important to learn how to cope and manage the emotions in a healthy manner as well as build resiliency to face the hardships in life. Stress is especially prevalent in work environments, which is why it would be beneficial for employers to take care of their staffs’ wellbeing by teaching them how to deal with their stress. If the workers are constantly under pressure, they would not be happy with their work environment and as a result be much less productive and motivated. Many people simply don’t know how to deal with their stress and don’t want to talk about it, but there are many ways that one can alleviate the stress of their daily lives. One of the ways is through exercise or meditation. Some companies such as Holistic Services Group provide yoga classes, workout sessions or meditation sessions on a regular basis for employees not only to give them the physical benefits of exercise, but also the psychological ones too. Exercise and meditation have been proven to be one of the best ways to clear your mind and alleviate stress because of the release of “happy chemicals” in your brain. Another way to take care of the employees is by simply teaching them how to cope with their stress to seminars. Ultimately, physically and mentally healthy employees reduce absenteeism by lowering the chances of illness and staff turnover because the workers will genuinely enjoy their jobs. Also, higher staff morale and better interactions among the staff will lead to a healthier environment and higher productivity as well. Therefore, stress management in an incredibly important part of leading a healthy lifestyle. It’s easy to forget to take care of your body with a busy work schedule, but it is something that cannot be ignored. It is clearly beneficial for companies to care for their employees’ wellbeing because it not only promotes good health, but will produce happier and more motivated employees. Taking care of your staffs’ wellbeing is essential to a healthy and happy work environment, as well as a successful company. A good washroom is essential to a healthy and happy work environment. Here are some easy tips on how you can create the perfect washroom at your workplace, for employees and visitors alike. And remember, Fresh & Clean is there to assist you along the way. You can reach them on 1300 733 177 for more easy ideas or a free quote for your workplace. 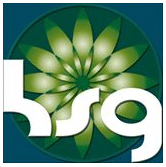 Alsco would like to thank Andrew Ruggiero, the Social Media Manager and Liaison of Holistic Services Group. Holistic Services Group is Australia’s number one provider of corporate wellness services, and provides many options for employers who want to take care of their employees better. Anything from corporate massages to cooking seminars to yoga classes is available, and all of them improve the health of the employees as well as benefit the company itself. For well-maintained uniforms that would suit your employees’ style and comfort, partner with Alsco. Well designed and well maintained uniforms can help improve morale, self image, performance and customer service. Contact Alsco now for enquiries.